Fourteen new countries were accepted to the Scaling up Renewable Energy Program in Low Income Countries (SREP). Programme implementation continues to be slow, with expected co-financing often dropped. 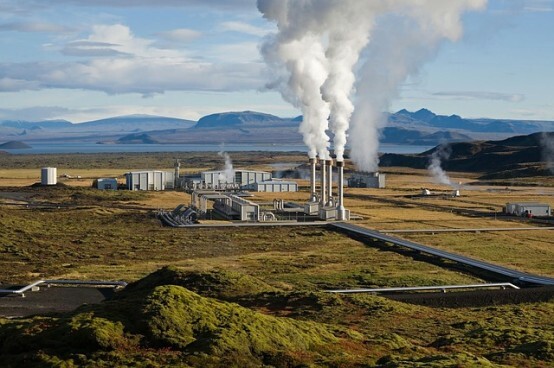 Investment plans for Armenia and the Solomon Islands were approved, with risks of geothermal energy and high project preparation costs highlighted. Questions on diesel support were raised on a project in the Maldives. Following the October 2013 agreement to invite countries eligible for SREP funding to submit expressions of interest to join the programme (see CIFs Monitor 9), fourteen new countries were accepted in the June sub-committee meetings: Bangladesh, Benin, Cambodia, Ghana, Haiti, Kiribati, Lesotho, Madagascar, Malawi, Nicaragua, Rwanda, Sierra Leone, Uganda and Zambia. Prior to the meetings, the UK raised concerns regarding funding for the new countries “given the costs associated, the creation of expectations, and the expected shift to the GCF etc. We would appreciate discussion in the meeting on how any such investment would be future proofed against potential changes in the climate finance architecture.” It also expressed “some concerns regarding the inclusion of very small states with narrow projects, and would welcome discussion on whether such countries could be bundled with others in a regional programme”. In response and following the meeting discussion, the sub-committee stated that the decision “does not prejudice the discussion of the CIF sunset clause”. It was further agreed that up to $300,000 would be provided to each country for them to work with the MDBs to develop their full investment plans. However, availability of further funds is unclear. The sub-committee recognised “that at present there is not sufficient funding under SREP to finance the projects and programmes that may be proposed in the investment plans but notes its expectation that there will be climate finance available to fund high-quality projects and programmes.” Furthermore, it was agreed that the CIF administrative unit will prepare an independent technical review of each investment plan, including steps for how to make them more effective “in light of the findings of the independent evaluation” (see Introduction). A June update to the March semi-annual operational report noted that the largest share of SREP funding continues to go to geothermal energy, but with an increased share for solar. Over half of the projects are in Africa, just over a third in Asia and the remainder in Latin America. It further noted that expected co-financing had dropped for four out of five investment plans, and that programme implementation on the ground is steady but slower than anticipated. Furthermore, the political situation in some countries has caused delays. The October semi-annual report elaborated further on the delays. On Kenya it noted that some delays referred to “the apparent lack of financing gap based on confirmed resources.” An updated investment plan will be discussed at the November sub-committee meetings. 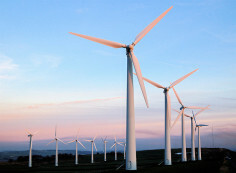 Furthermore, a proposal for reporting on the enabling environment for promoting energy investment has been launched as a pilot in 17 countries, including 13 SREP countries and four other countries for comparison (Chile, Denmark, India and the US). It has been renamed Readiness for Investment in Sustainable Energy (RISE), with “significant resources … mobilised for global scale-up”. Following a presentation in the June sub-committee meeting the World Bank was invited to present further details on the outcomes, followed by a discussion on next steps, in the November meeting. In the meeting it was agreed that the MDBs and the project proponents will prepare a detailed document to be submitted to the sub-committee for funding approval. There was no decision regarding future private sector set aside rounds. On the issue of loans the ADB responded: “To meet co-financing and leverage goals of SREP as well as ADB, the availability of ADF [Asian Development Fund] and SREP grants became instrumental in facilitating cofinancing from European Investment Bank (EIB) and Islamic Development Bank (IsDB). … The government determined that a package of loans (overall concessional in nature) would generate re-flows back to the government that could be utilised for investing in future RE [renewable energy] projects”. SREP was launched in 2009. It aims to catalyse scaled up investment in renewable energy markets in low-income countries by enabling government support for market creation and private sector implementation. Six countries were selected for SREP pilot programmes in 2010: Ethiopia, Honduras, Kenya, the Maldives, Mali and Nepal. All the investment plans of the original pilot countries have been approved, as well as plans from four countries on the reserve list: Tanzania and Liberia in 2013, and Armenia and Solomon Island (Pacific region) in June 2014, making the total number of pilot countries ten. The Vanuatu (Pacific region) investment plan will be discussed in the November sub-committee meeting. Two countries remain on the reserve list: Mongolia and Yemen. In June 2014 a further fourteen countries were invited to join SREP: Bangladesh, Benin, Cambodia, Ghana, Haiti, Kiribati, Lesotho, Madagascar, Malawi, Nicaragua, Rwanda, Sierra Leone, Uganda and Zambia. As of end 2013, $551 million had been pledged to SREP. Cumulative funding disbursements totalled $4.2 million. As of end September ten country investment plans had been endorsed for a total indicative allocation of $394 million for 35 projects and programmes. Funding for 14 projects and programmes totalling $136 million had been approved.